Can I repair a Crazed Spa? I have a spa that has developed crazing in the acrylic surface. See the photo. How can it be repaired? Repairing a large, crazed area is complicated, since it requires removal of the affected acrylic surface. A hammer and chisel is normally required to remove this material. Be carefult not to punch a hole completely through the wall structure. Then our Acrylic Filler and color-matched coatings are required to refinish the area. 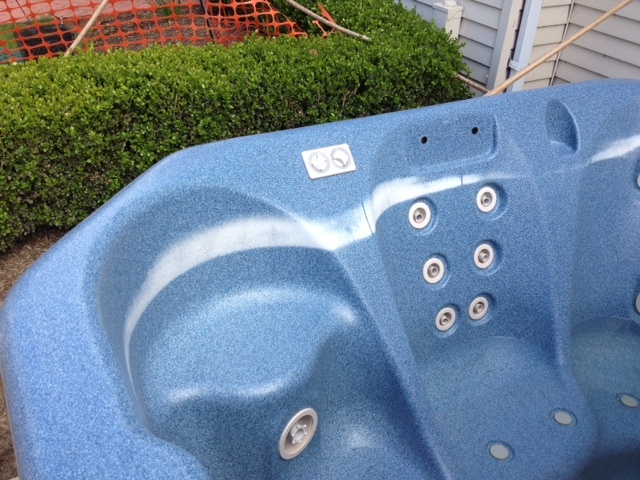 Refer to the procedures for repairing spas with the Quick Glaze system. 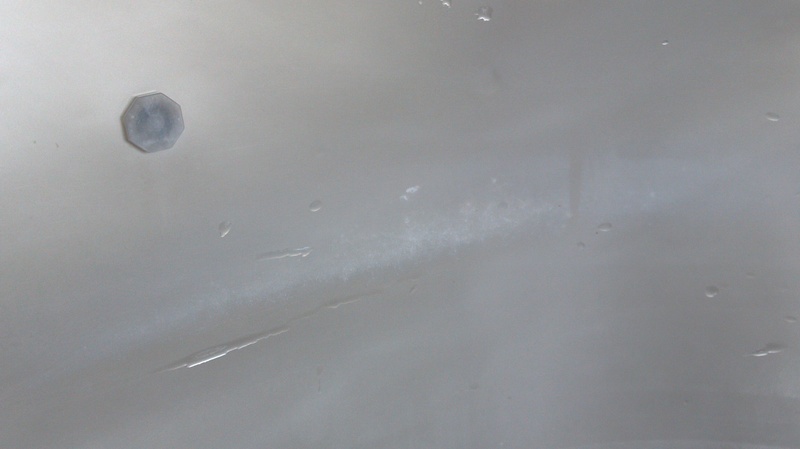 Often, the cause of crazed acrylic is the presence of trapped styrene in the polyester resin backing system. 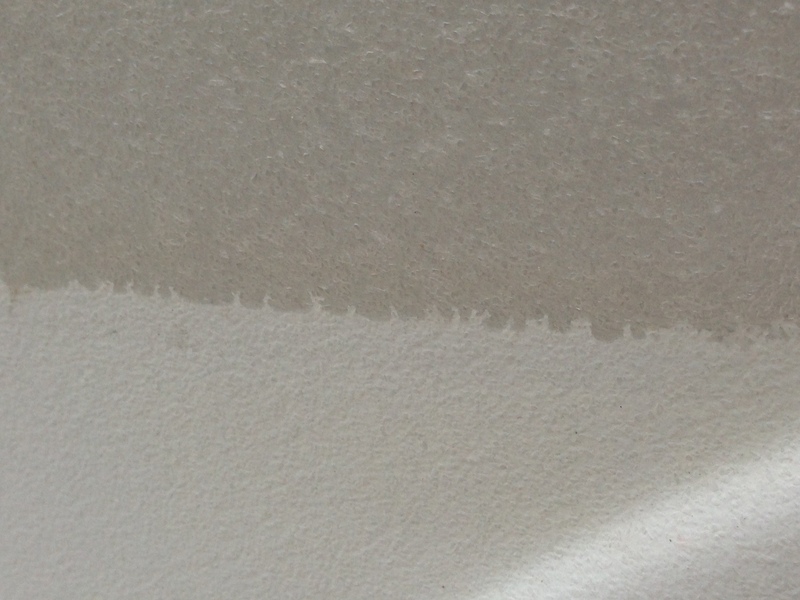 So to prevent re-occurrence, you should use a heat gun to evaporate any residual chemicals in the exposed FRP prior to starting to apply the acrylic filler. See our explanation of crazing in the website, http://www.multitechproducts.com. Remember that crazing affects only the appearance of the surface. It will not result in water leaking through the structure. In some instances, where there is minimal crazing, it can be softened with heat. Using a heat gun, you would heat the surface up to about 220ºF, which will cause the crazing to relax and reduce the severity of the micro-cracks. 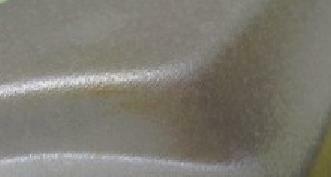 One acrylic manufacturer suggests that wiping the area with a paste wax, or equivalent, sometimes works to fill in the micro-cracks to make them less visible. You could try some of the MTP paste repair kits. 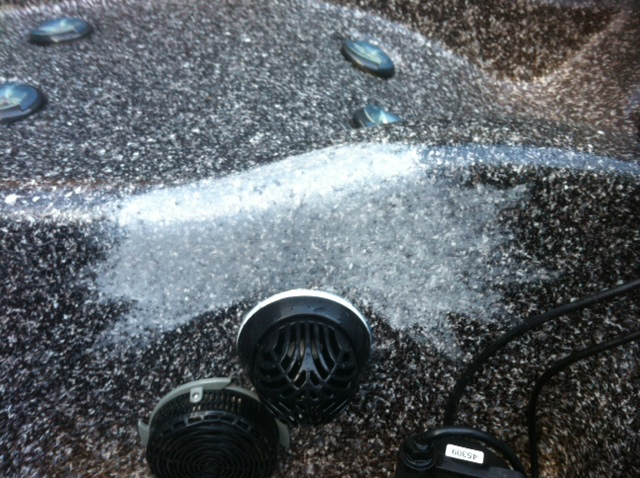 Using a cover on spas is very important in avoiding these and other surface issues. I am a spa surface repair contractor. and have been asked to inspect and repair an acrylic spa for a manufacturer. What should I do to provide a comprehensive inspection report to the manufacturer? 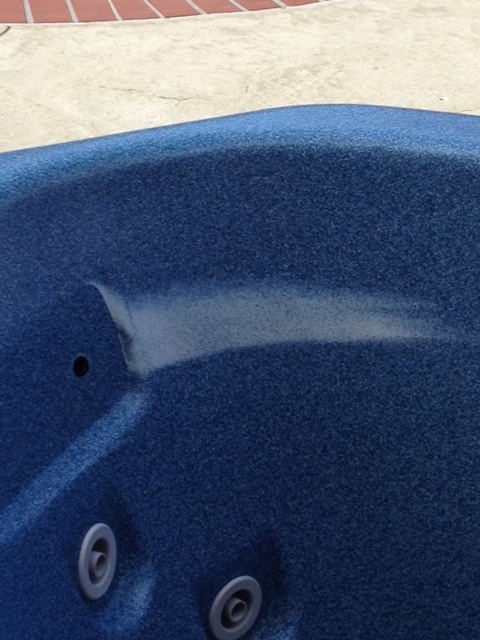 The most frequent types of surface damage to acrylic spas are blisters, discoloration, cracks and crazing. Please read our website to gain and understanding of the description and causes for each of these problems. You will see that a common thread through many of the problems is a chemical attack. Therefore, when your mission is to repair the surface, you should also look for signs of a chemical exposure. Since misuse of chemicals can void a warranty, the manufacturer will be very interested when there is indisputable evidence of neglect and misuse. 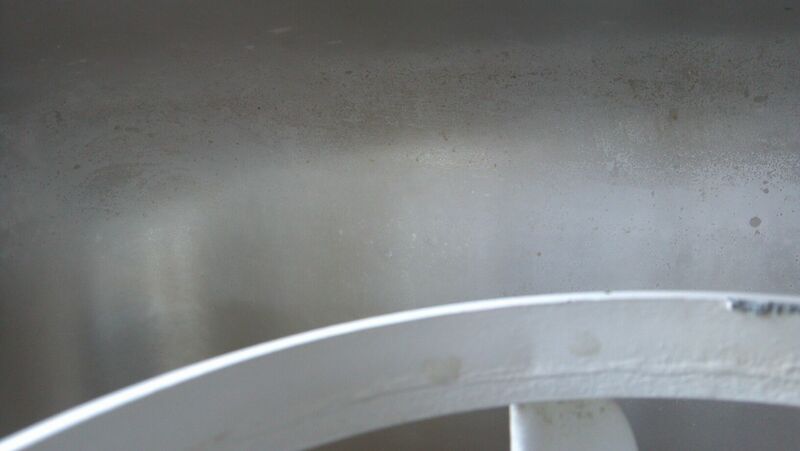 Chemical damage to the acrylic surface or mechanical components can be clear evidence of a contributing factor to the surface failure being reported by the customer. Staining, fading, cracking, crazing, and blisters can all be at least partially due to improper maintenance of water chemistry, or the use of strong chemicals for cleaning, etc. For example, organic chemical solvents can be absorbed by the acrylic, which weakens it, and contributes to cracking or crazing due to excessive stress. Certain chemicals can attack the pigments, and cause fading or discoloration. There have been past reports of problems caused by aromatherapy chemicals added to water by the owner. 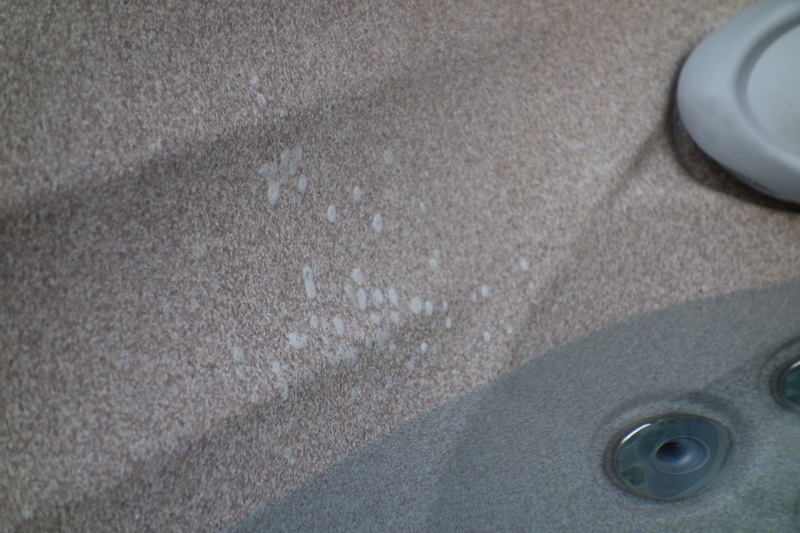 Repair contractors often see calcium deposits at various locations in a spa. This is a clear indication that water chemistry is not properly maintained. Even some of the chlorinating chemicals (e.g. 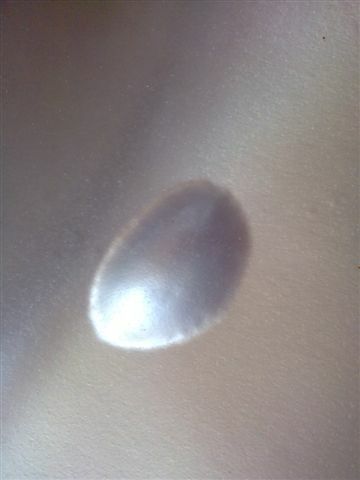 solid tablets) can cause discoloration when they are in close contact with the surface for extended periods. So, you should ask the owner questions to determine their practices for maintaining water chemistry, and list the chemicals they use. Also, inquire about any other type of chemical that has been added to water for any reason. You want to help educate the owner about proper chemical use, and warn them about things that cause problems. If you do not know this, check with the manufacturer. I hope this information helps to improve your expertise as a professional. I have a new acrylic spa that has brown spots all over the acrylic and the side panels. What caused it, and how do I get rid of them? Please see the attached photos. 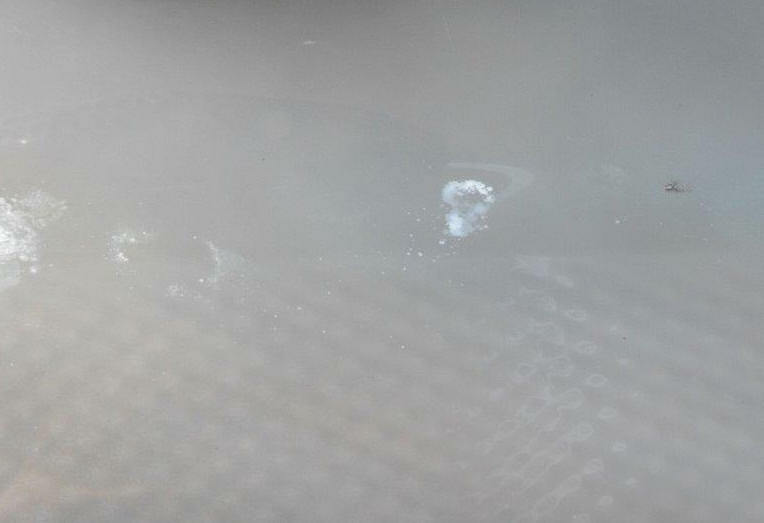 The brown spots appear to be diphenylmethane diisocyanate (MDI), which is the most common isocyanate used in polyurethane foam. 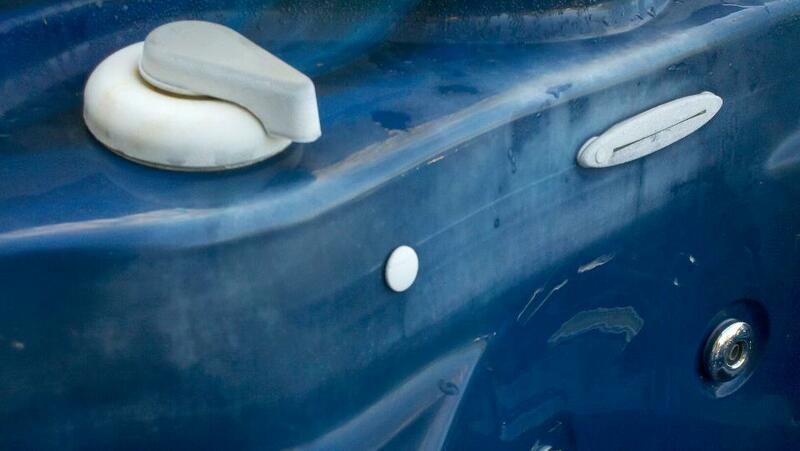 Polyurethane coatings and foam are used both as reinforcing and insulating materials in spas. MDI is the “A” component in the two-part resin system, and has an amber color. Part “B” is an organic alcohol, and is normally white. The MDI will continue to get darker in color as it oxidizes with age. 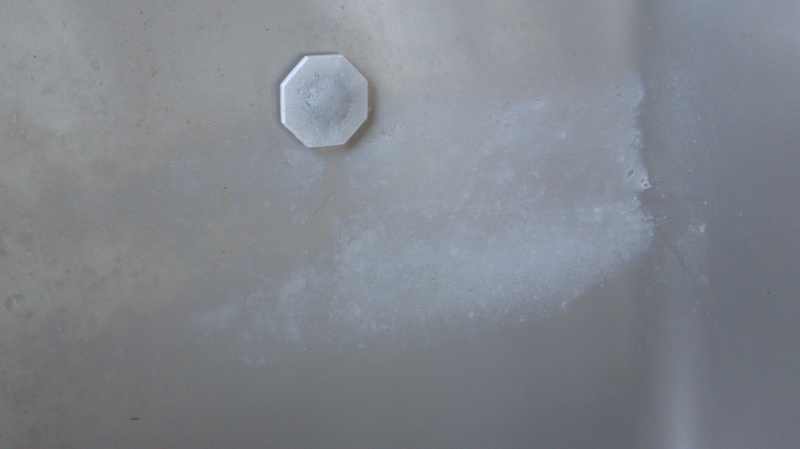 The MDI can be on these surfaces due to over spray during the manufacturing process. Since it can take hours for the color to appear, the manufacturer may not have seen it during their cleaning steps. Also, if the workers have it on their hands and tools, and touch these surfaces, it will leave a residue. This occurs when factory workers are not diligent in maintaining cleanliness. There are multiple considerations for removal. If it is foam ( i.e. mixed parts “A” & “B”), sanding may be required. Also, if the chemical has been absorbed into the surface, it may require sanding. Sand in a circular motion with 400 grit followed with 600 grit wet/dry sandpaper using water. 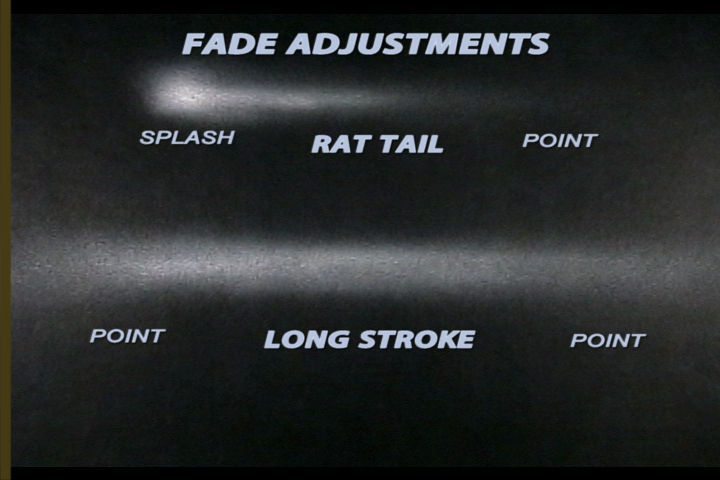 The acrylic surface can be renewed after removal by following our “Buffing and Polishing” procedures and/or video. 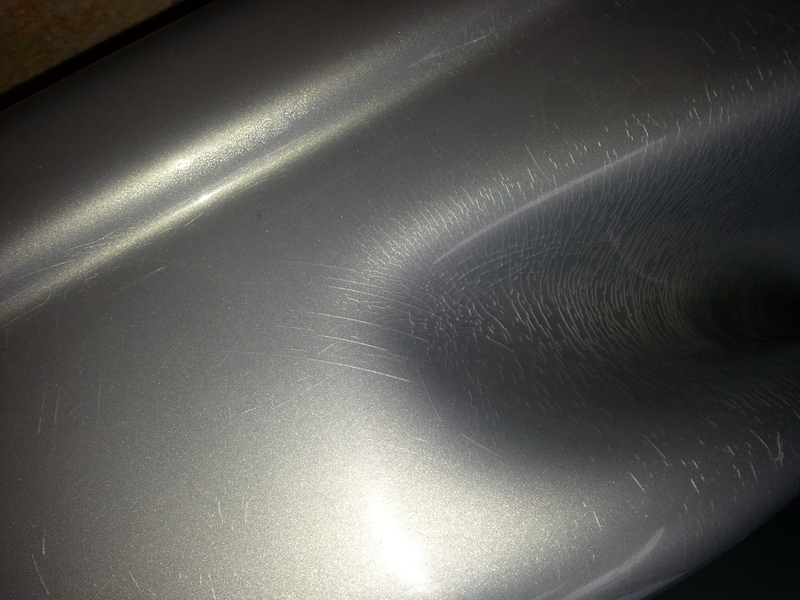 Polishing with medium grit compound using a 2500rpm electric buffer will bring back gloss. 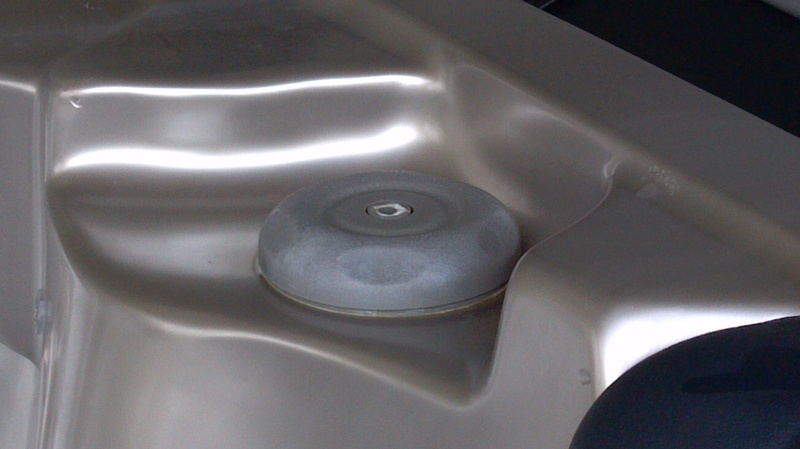 Polishing would not be required on granite textured surfaces. See our procedures for granite repair for more details. If it is on the artificial wood or plastic side panels, sanding may remove the color making it necessary to re-stain or paint. You can test in a non-conspicuous area. You can inquire with the manufacturer about their repair recommendations. If you desire to avoid sanding and surface renewal, you can test the effectiveness of using solvents to remove the foam chemicals. Start by using plain water with about 10% ammonia and some household dish detergent. Water reacts with isocyanate to form non-toxic carbon dioxide gas. If it fails, try isopropyl alcohol, which has low risk. Again, if unsuccessful, try standard paint lacquer thinner. Finally, try a commercial xylene solvent, being careful to use a minimum quantity. When finished, the xylene should be completely cleaned from the surface using water and the alcohol. Xylene is not recommended for long exposure to acrylics, since it will lead to stress cracking. 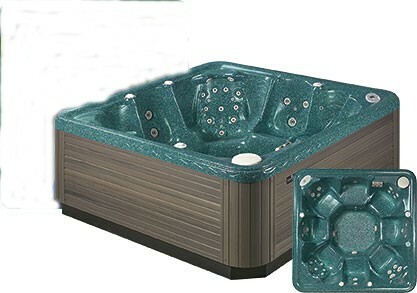 The acrylic used for spas is cross-linked to impart superior chemical resistance compared with standard acrylic products. So be careful to remove all excess solvent. I hope this helps to resolve your problems. What causes the clear topcoat to turn white? Can you tell me what caused the clear coat, which was the final step in the spa repair, to discolor (whiten) in less than a month? I used brand new bottles of K2000 A and B parts, the customer did not fill the spa for about a week after the repair, and temperatures were in the 50 -60 degree range. What will we have to do to repair this problem? This can happen due to a number of curing mistakes, which all involve premature exposure to water. Here is an excerpt from the procedures available on our website that deal with this issue. Click on the link below to see the complete instructions explaining what probably happened and how to fix it.  1) Allowing moisture, water or dew to settle onto the fresh repair area within a few hours after completion.  2) Closing the spa lid tight during curing. This will generate moisture from the spa’s jet system causing the dry repair area and surface to stay wet.  3) Filling the spa too soon (72 hours minimum @ 70°F) with water. 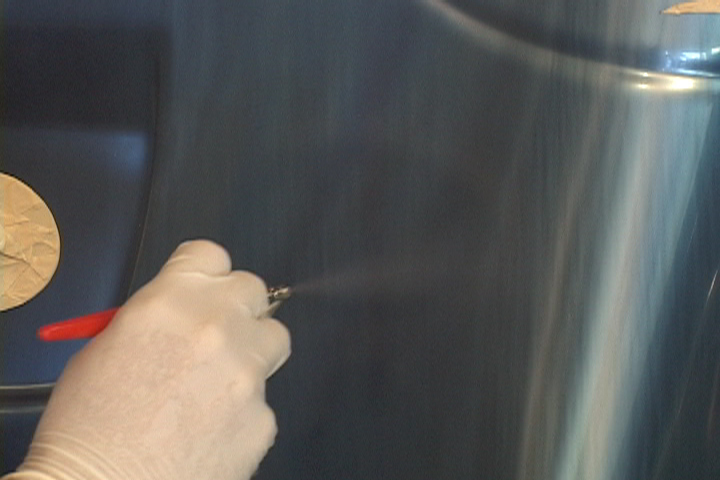 This stops the topcoat cure process so that it fails to reach its peak hardness and chemical resistance.  4) Extreme cold temperature during the cure period. Low temperatures greatly increase coating cure time. 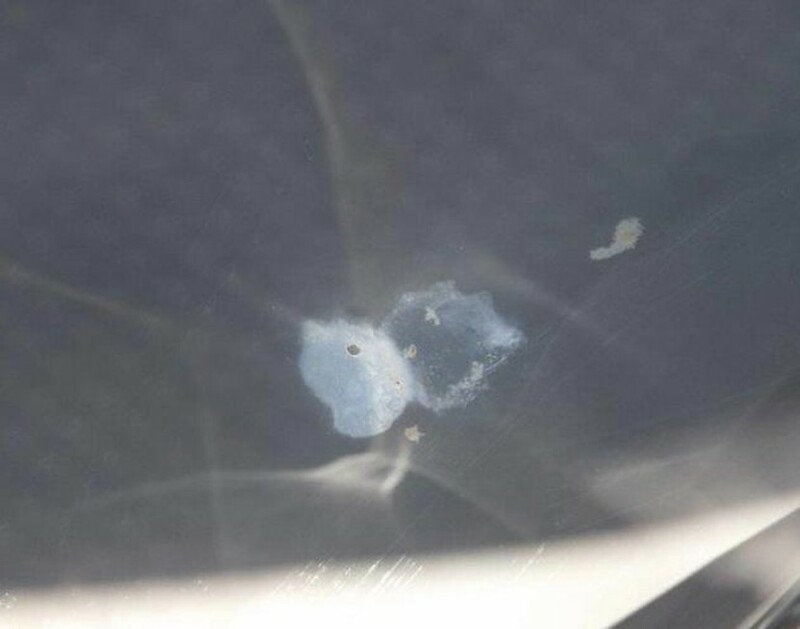 Then if water comes in contact with the coating it causes the whitening. to read complete description and instructions. I have a 15+ year-old Jacuzzi® spa that I accidentally scrubbed a scum line from the surface until I reached a white base underneath. I would like to repair it. Can you help me pick a product that will work? Pictures are below. Yes, this can be repaired. You may think you caused the problem by excessive scrubbing, but actually it is bleached from an oxidizing chemical caused by poor procedures during chemical addition. A possible cause is just poor water circulation with a high concentration of chlorine or bromine at this surface location. The original spa color is still there, but under the bleached surface. The original color continues until you reach the fiberglass reinforcement. 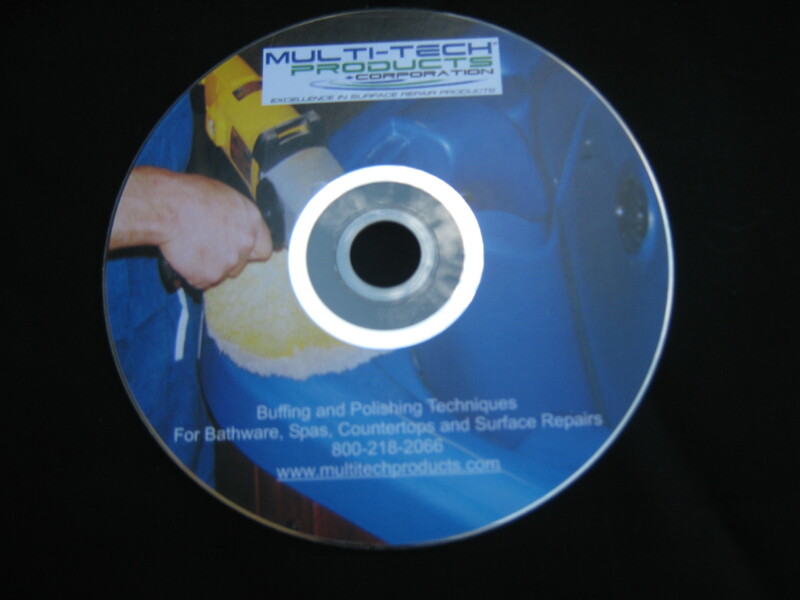 We have a buffing and polishing video that you can purchase that will clearly demonstrate the procedure for renewing the surface color. The video procedure starts with sanding using 320 grit wet/dry sandpaper. However, for this chemical bleach, I would start with 220 or even 100 grit wet/dry sandpaper with a progression to finer grit. The end result will bring back the color and granite effect without the texture. It will have a gloss in those areas from the sanding and polishing process. If you want to bring back some texture, sand away the white surface, and apply our K2000 clear coat with a paint brush at the 320 grit sand paper stage. The dabbing vs. brushing application will cause a stippled effect on the surface, which will mimic the original texture.